NTPC recruitment exam paper leaked, 3 held! Police recruitment exam in UP canceled after paper leak! You hear these headlines every year during the exam season. As much as education was worshipped in our country, it is in the shackles of corruption and malpractices. Everyone from students, tutors, educational institutions want the easy way out. The examination paper leak has become everyday news and most common in all sectors of education be it college, school or any other educational institute. This not only hampers the examination culture but also encourages students’ mind towards wrong directions and decisions. Exam paper leaks also tarnish the credibility of all kinds of exams. While online examinations or computer-based tests(CBT) are being offered as the solution, examinations that involve subjective questions will still have to follow the traditional method. The leak of these examination papers or examination material can take place at any level. Right from where it is shipped from the papers are handled by the logistics department, treasury office officials, officials of the centre where these papers are stored and then the team transferring papers to respective exam centres. To find out the weak link here is not feasible, but you can certainly improve the security for these examination papers to prevent leaks. The need of the hour is the perfect packaging of the examination question papers which are sent to various centers as well as packaging required during in-center examination paper distribution. This urge of perfect packaging calls for the need of security envelopes, that are proven to be an ace solution for such official and confidential purposes. 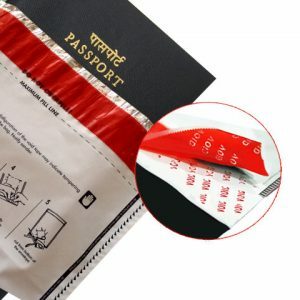 Let’s dig deep into the features of tamper-evident bags & envelopes that help you understand how security envelopes are an apt solution for the examination paper leak fraudulent case. Description: The tamper evident envelopes are manufactured with the thickness of 75 microns that is 300 Gauge, this makes the envelopes extra strong. The regular plastic envelopes or courier bags that are used for sending couriers are 200-240 gauge thick. Security envelopes allow heavy load to be packed in them and hence the entire set of examp papers can be fit into one. 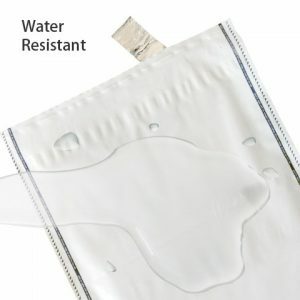 It also provides ultimate protection from any other casual packaging envelopes. Description: Security envelopes are opaque. It doesn’t allow the light to pass through the envelope and reflects back all the incident light rays. This makes sure that the examination papers placed inside the tamper evident envelope cannot be seen from outside. Description: The tamper evident bags & envelopes are so manufactured that they have sheer elasticity. The adhesive used for closure is single time use only, once sealed cannot be opened. Thus to open the envelope one has to cut open the envelope. When tried to stretch and open, the envelope resists to tear. If more pressure is applied to open, the envelope tear opens and cannot be used again and act to tamper can be easily identified. 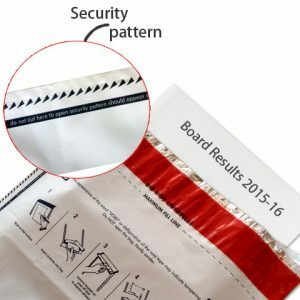 Description: This is one of the most important features of tamper evident security mailers. It has a lip to lip closure. Once the examination papers are placed inside and an envelope is sealed, any effort to open the seal or open the envelope will indicate that the envelope has been messed with or someone has tried to open it. “VOID” mark will be printed on the surface; thus the receiver can easily identify that the envelope has tampered. 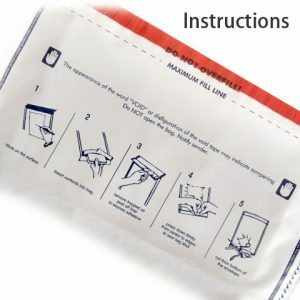 Description: To close the security envelope, one has to peel the liner that is on one of the flaps of closure. Place the examination paper before peeling the liner. Once the liner is peel off it cannot be placed back. 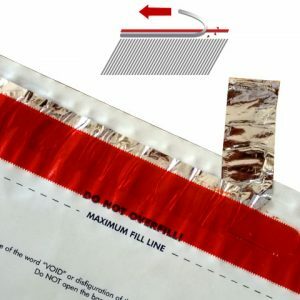 The flap with the peeled liner has an adhesive layer which is to be stuck on the other flap. The moment the two flaps have been closed, it becomes a permanent closure of the envelope. When tried to open, the mark “VOID” would appear on the envelope. Also Read: 8 Properties of Security Bags & Envelopes To Consider Before Buying It! Description: The closure of tamper evident bag & envelope is lip to lip to closure. The two flaps face each other, with one having an adhesive liner. 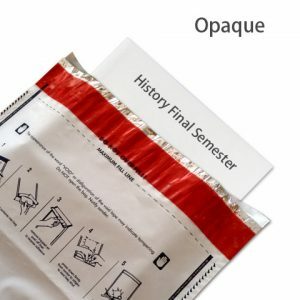 This type of closure doesn’t allow any sort of movement of the examination papers inside the envelope. Nothing can be removed and placed inside after it is sealed. Description: The envelope can be opened only from one side. The other three sides have a security pattern. If anyone tries to cut open from any of the three sides, the security pattern of the envelope will be distorted. This distortion will clearly help the receiver to identify any act to tamper the envelope. Any attempt to remove examination papers from any side of the envelope can be easily identified by the receiver. 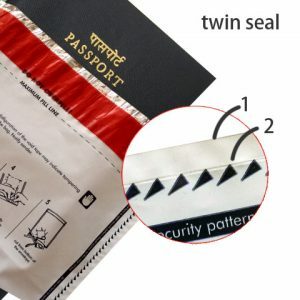 Description: The three sides of the envelope not only have security pattern but also have double sealing, which gives extra protection to the papers sealed inside. Description: The envelope can be filled until a certain limit only for security reason. 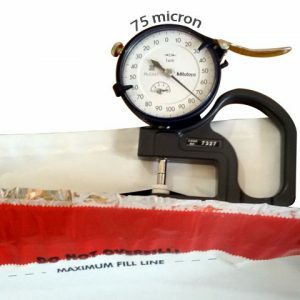 Thus security envelopes & bags have “Maximum Filling Limit Line”. The examination papers must be kept under that limit to avoid any fraudulence. 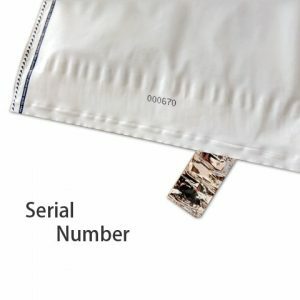 Description: The tamper evident envelopes are serially numbered, which can be used by sender and receiver. The sender can inform receiver, the serial number of the envelope and receiver can verify if he has received the same envelope. This ensures there is no exchange or no replacement of the envelope. Description: In order to use each feature correctly and take utmost benefits from the tamper evident envelopes, detailed instructions regarding their usage are a must. A clear-cut set of instructions on how to aptly use the envelopes is printed on the body of the envelopes to avoid any confusion and wastage of packaging material. Description: Sticking papers or labels on envelopes with respective details is a task. Many envelopes don’t allow the ink to settle on their surface. 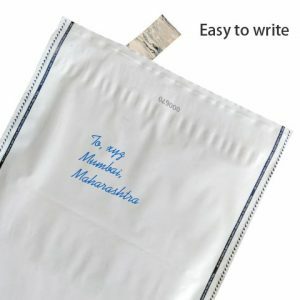 However, the tamper evident envelopes are manufactured with special material that makes writing on it easy and smooth. One can write any details on the surface of the envelope with either ballpoint pen or a permanent marker. Description: The tamper evident envelopes are manufactured from co-extruded LDPE film. The plastic material used is weather resistant. The dust particles and moisture on the envelope will not hamper the papers inside. Any change in weather condition will not affect the envelopes. Thus the examination papers stored inside are safe. Description: Last but not the least, according to the use the customers can decide what size of the envelope will match their requirement. Depending upon the size of the paper that is to be inserted, the customer can select envelope size accordingly. An attempt can be made to solve the issue of examination paper leakage with tamper evident envelopes. They have proven their usage and security features for other industries like legal and pharmaceutical to name a few. The innovations in packaging and integrating these new materials can definitely help prevent fraudulence in many fields. Our education system can certainly benefit from this. What are other ways we can prevent exam paper leakage? Do share your thoughts with us in the comments section. 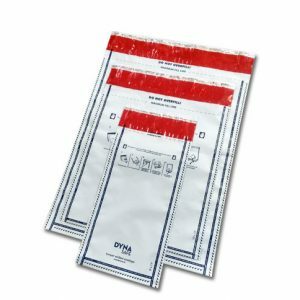 Examination security sealing bags are available online on the below link provided. For any customization, you can contact our support team to guide you for the same. I have read so many posts concerning the blogger lovers, however, this article is genuinely a pleasant post, keep it up.